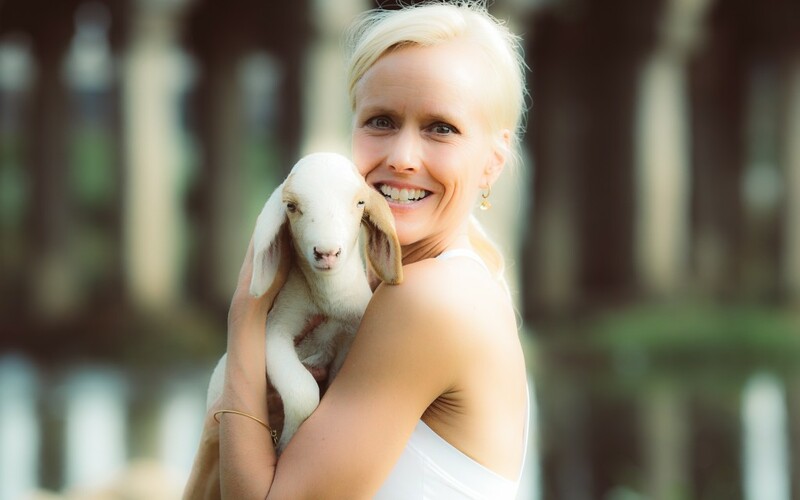 Im a Wellness and Vegan Coach in Encinitas, CA (North County San Diego). I love helping people achieve optimum health in body mind and spirit, while saving animals with compassionate food choices. I’m also a Energy Healer and work with humans and animals using Reiki and The Emotion Code in person and long distance. When I was younger I struggled with exercise addiction and was either under eating or overeating. I gained 20 lbs after college within six months, due to emotional eating, while I was still doing daily cardio and weight training. Then yoga found me and transformed my life on every level. It helped me lose the weight and replaced my internal war with BALANCE. Yoga, combined with meditation, also helped me to love and treat myself better. These mindfulness practices can help you too! I have taught Ashtanga Yoga since 1997 and was a yoga studio Owner in Kansas City, MO for 16 years. Yoga taught me to see the Divine in all living beings and the practice of “ahimsa” non-harming. I have great compassion for ALL animals and want to help end their suffering. This is my life’s mission. Once I became vegan, I experienced immediate relief from these ailments and was able to get off my daily inhaler and allergy medicine. My skin cleared up within a week. Once I learned about the cruelty of the dairy, veal and egg industries, I became vegan for ethical and spiritual reasons as well. 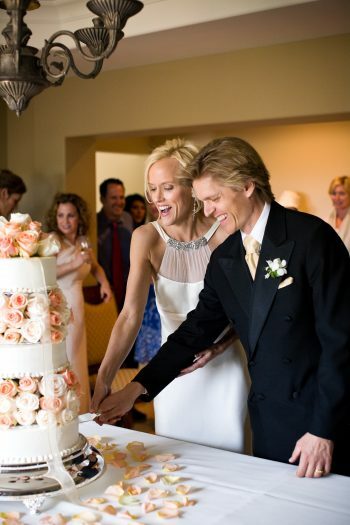 When I met my husband, Wade Mortenson, in a yoga class in 2007, he was miraculously already vegan! He’d had thyroid cancer and decided to keep his gland and change his diet and lifestyle. He went from being a stressed out carnivore cop to a vegan yoga teacher. We even had a vegan wedding in Santa Monica with our Kansas and Wisconsin relatives and everyone loved the food, especially the cake! My step-kids, Kaden and Kaiah, love our food too and help us cook at home. These are some of the many reasons I love teaching people how to adopt a delicious and easy plant-based diet. It’s a win, win, win for health, animals and the planet! I have a Master’s Degree in Exercise Physiology and a Bachelor’s Degree in Journalism from the University of Kansas. After college I worked as a personal trainer for Dr. Deepak Chopra in La Jolla and as an exercise physiologist at the Pritikin Longevity Center in Santa Monica, CA. I’m a Certified Food for Life Plant-Based Instructor with the Physician’s Committee for Responsible Medicine. I’m also certified in Reiki II and The Emotion Code, by Dr Bradley Nelson, which tests the body for trapped emotions that might be causing pain, illness, anxiety, depression and self- sabotaging beliefs. Contact me for a FREE CONSULTATION and let me know how I can support you in your wellness journey: kathleen@kathleenkastner.com. I have written two books, Yoga’s Path to Weight Loss: A Mind Body Spirit Guide to Loving Yourself Lean and my dating memoir, The Cheerleader Speaks: What God Taught Me About Men and Myself. Peace to you and all beings.